Tesco has launched a new Fuel Save promotion which is a great opportunity to fill up your tank with a great saving. You must spend £60 in a single transaction either in-store or online by 26th August. Your shopping receipt will automatically include a fuel discount coupon. Online customers will receive a leaflet with their groceries delivery. The coupon can be used at any Tesco petrol station. Once you pay for your fuel, hand over your coupon and you will save 10p per litre. Coupons issued in-store are valid for two weeks after purchase anc coupons issued online are valid until 9th September. 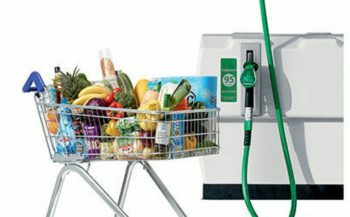 Purchases at any Tesco café, tobacco kiosk, opticians, phone store or Tesco Bank, and purchases of fuel, lottery products, gift cards, e-top ups, savings stamps, postage stamps, 10p carrier bags, prescription medicines, infant milk formulae, Wine by the Case, or travel money are excluded from this offer. The coupon can only be used on up to 100 litre of fuel for a single vehicle. It actually launched on 6th August. It takes you a week to mention. If you could have highlighted when it was launched it may have helped more people make use of it. Thankfully they’ve got big adverts up on the forecourts! I was just about to fill-up (had only put in £3 worth!) when I spotted them. Stopped straight away then did my shop and came back to fill up after for a rather hefty saving! Gift card purchases are excluded according to t&c. However, I bought a £65 amazon gift card to get my grocery spend up to £100 so as to use my £15 off when you spend £100 coupon. Was pleasantly surprised to receive the 10p off/litre petrol coupon.